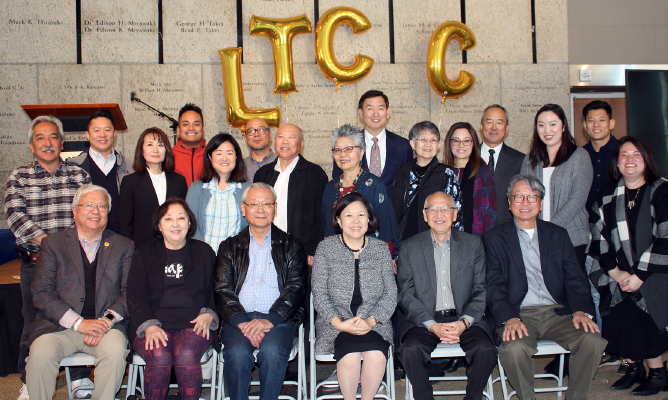 Past and former board members of the Little Tokyo Community Council gathered for a portrait at a kick-off event marking the organization’s 20th anniversary on Feb. 19 at the Japanese American National Museum. Ukes for Little Tokyo and the kids from Nishi Center entertained the gathering of approximately 100. 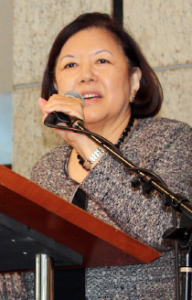 Founders Bill Watanabe, former executive director of the Little Tokyo Service Center, and Irene Hirano Inouye, former CEO of JANM, shared their memories of the organization’s beginnings. Hirano Inouye (pictured at right) urged the gathering to support LTCC. 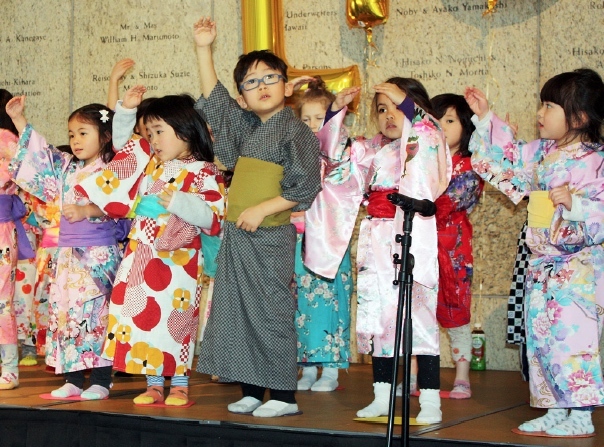 “We each have a responsibility to keep Little Tokyo strong and vibrant,” she stated.